Welcome back to all our parents and children after the Christmas break. We trust you are well rested and ready for an exciting term ahead. We have lots of exciting activities planned for this term. Our parent summary will keep you updated on what your child will be learning. Our topic for the first half of the spring term will be Superheroes and for the second half, Transport. We are excited for a warm and sunny summer term and plenty of outdoor learning opportunities. To begin with this half term we will be focusing on the traditional tale ‘Jack and the Beanstalk’. We will be continuing to explore children’s interests and will plan activities based on this. 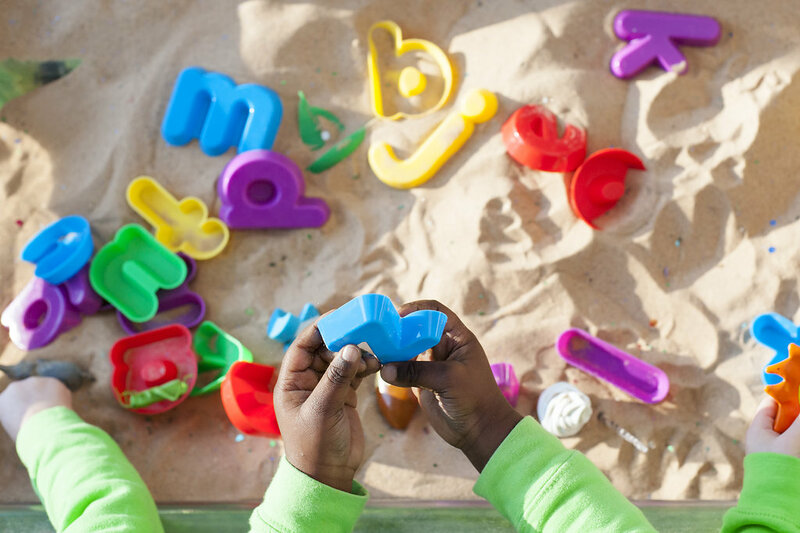 Children will use their language and communication skills in a variety of fun and meaningful situations as they explore and take part in child initiated learning in our role play areas. We will continue to have ‘Show and Tell’ throughout the term. Children will also talk to the class and read their diary entry for our class teddies. A range of both indoor and outdoor writing opportunities are always available for children throughout the day during their independent play. We will continue to have daily streamed phonics lessons to consolidate Phase 2 and 3 letter sounds. Those children secure in these phases will be introduced to phase 4 sounds and blends. There will be a focus on applying their knowledge of letter sounds to their reading and writing and this can also be supported in their reading and writing at home. Guided reading and writing will continue in small groups. Children will be practising writing in full sentences and will be encouraged to use the high frequency and tricky words as well as writing pieces reflecting features of a narrative. Our strong key texts will support these writing targets. Children will be encouraged to consolidate their recognition of numbers up to 20, naming and recognising 2D and 3D shapes. 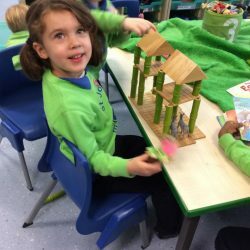 The children will be involved in practical activities which will provide them with opportunities to problem solve and use their skills of adding, subtracting and estimation. New concepts including doubling, halving, sharing and measuring time will be introduced this term. 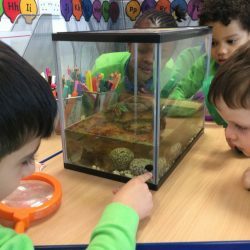 As the environment changes due to weather and the seasons our understanding the world activities will be linked to the outdoors and observing changes in our environment. The children will also be able to learn about growth and how plants change over time. 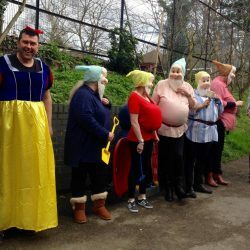 The role-play areas will reflect the children’s interests and support the key text ‘Jack and the Beanstalk.’ In music, the children will be exploring how to create their own music. The children will continue to be encouraged to express themselves creatively using different media. Children will have opportunities to extend their skills in running, jumping, catching and throwing, whilst being made aware of safety at all times. This term children will have the opportunity to participate in team games outside. 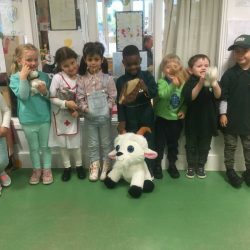 Children will receive ongoing support and encouragement through a range of activities to work as part of a group taking turns, sharing fairly and playing cooperatively. The children will be encouraged to recognise the importance of a healthy lifestyle including the importance of exercise, sleep, diet, personal hygiene and self-care. Children will participate in activities to support their transition to Year 1. Please remember that this is just a brief outline of the termly plan and does not include everything the children will be doing. Thank you, Miss Miller and Miss Gorman-Kiely.